I’ve always been a big fan of Koreanskincare regimen. It may seem tedious for some but the benefits you’ll get upon following the routine is worth every second of doing it. My desire to do the “chok-chok” way started in 2016 which is also the time I got hooked in watching Korean Dramas. Seeing the luminous skin each great Korean actress has made me a believer. 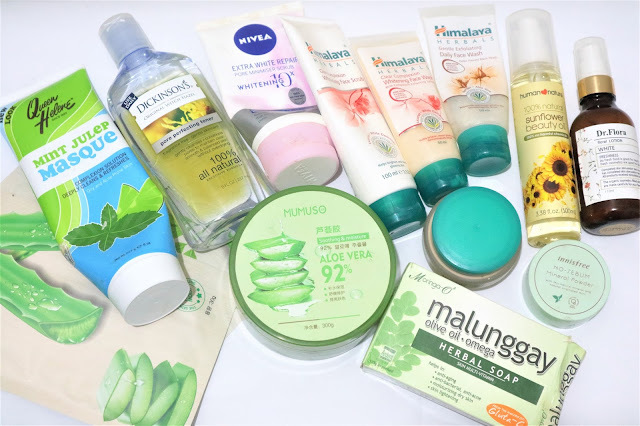 Here’s the detailed post I made all about Korean Skincare Regimen for Pinays. 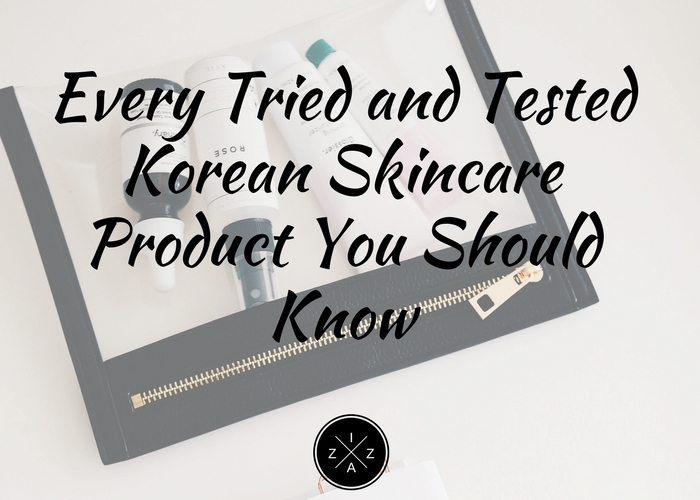 Today’s post I’ll give you a proper run through on every tried and tested korean skincare product you should know about. If you feel like implementing the Korean Skincare Regimen in your life this year then here are the products that will help you get started. No worries, most of these products are budget-friendly. This CosRX Low PH Good Morning Gel Cleanser has been hyped by the beauty community since last year. Why? Because it is cheap and it works. For an investment of Php 540 you get a 2-in-1 deep facial cleanser and gentle skin exfoliator that penetrates deep into the skin for comprehensive cleansing. This gel cleanser designed to clean sunscreen, makeup, dirt, and oil from the face without requiring a second cleanser to remove residue. It works like a regular foaming facial wash but the formula is beyond compare. What others are saying about the CosRX Low PH Good Morning Gel Cleanser? Overall, I highly recommend the COSRX Low pH Good Morning Cleanser to anyone who wants to start their new low pH life. It's great for sensitive and troubled skin, plus you get 150ml for P540. This is one of those products where you have nothing to lose and everything to gain! Unless of course you're allergic to some component of it but we can't predict that, of course. COSRX is making me (and my SO's skin) happy! I love using this cleanser in the morning (hence, the name LOL). Since I don’t want a heavy face wash for the mornings when I don’t have make-up on, this is my go-to. It’s a light, gel cleanser that leaves the skin clear and refreshed for you to apply the rest of your skin care and make-up. You can always depend on CosRX to provide affordable products, but more importantly, products that only contain quality ingredients. We all ought to exfoliate at least once a week. That’s not even a recommendation but more of a mandate if you’re serious to get better skin. I’ve always enjoyed face wash that has little scrubs in it like the Himalaya Herbals Whitening Day Wash. But, I want to preserve the moisture of my skin so I opt for a separate face wash and scrub come 2017. This decision proved to be good because my skin definitely improved in texture. What others are saying about the Skinfood's Black Sugar Mask Wash Off? Price: 5/5. Cheap, yet effective and lasts a long time. Everything you could ask for in a product. Effectiveness: 4/5. It definitely left my skin feeling smoother and softer but I can't give it full points without comparing it to other exfoliators. Packaging: 4/5. I generally appreciate the simple, no-nonsense Skinfood packaging and this is no exception. Overall: 4/5. Great product for someone like me who has no experience using exfoliators. This affordable mask (around USD$8) exfoliates the skin very well and because of this, you will feel a baby soft, smooth skin afterwards. It helps to removes flakey skin as well (yay!). The brightening effect is visible after rinsing it off, but keep in mind that the effect is temporary. I am happy that it doesn't feel dry or greasy afterwards. The texture can be a hit or miss for some. You have to mix it with either water or oil to make the sugar grains melt, otherwise it would feel extremely rough. I have the feeling that mixing it with water is too rough for me, so I use the method with oil, which I think is fine for me. Besides that, it's a pity that the packaging is not hygienic, it doesn't have a spatula or spoon. If you are looking for an exfoliating mask, that removes flakey skin and you don't mind the texture of sugar, this product will be for you. If you’ve been reading my blog since the beginning you’ll know my love affair for Mumuso Aloe Vera Gel. I even included it on the three life changing products posts. After finishing a tub of the Mumuso brand I switched to Nature Republic Aloe Vera Gel. My plan is just to test the difference between the two. Honestly, on my personal experience I don’t see any distinction in the look, feel and effect of Mumuso vs. Nature Republic. They both gave the same results as I mentioned in my Mumuso Aloe Vera Gel Review. But, after reading a post in my Facebook Newsfeed that Mumuso is a Chinese brand selling fraud/deceiving Korean products I have to put a big disclaimer to my readers right away. Even though the Mumuso Aloe Vera Gel is as effective as Nature Republic it is still best to patronize the real brand. Selling counterfeit products of real Korean brands like Nature Republic, Innisfree and The Face Shop is below the belt wrong. I, since reading the post last month stopped patronizing the skincare line of Mumuso. What others are saying about the Nature Republic Aloe Vera Gel? Overall, this is a great product, it is effective, convenient to use, and very affordable. I like using this especially during hot days or whenever I’m in a hurry because it is lightweight and it sets fast. I have used this for almost a year, I emptied the tub, and it didn’t went bad. I didn’t experience any breakout due to this product while and after using it. While I was not able to use this product religiously, since I started using it, I know it is effective enough and might work better, and might’ve made my skin clearer, if I had chosen to use it every single day. The thing is, I am constantly trying out new and different skin care products that I have to not use this for some time. And that’s also when and how I discovered that it IS actually effective and gentle enough for troubled skin. I first used the moisturizer before going to bed on the same day I purchased it and I was very impressed on how smooth my skin felt the very next morning. It also helped to minimize my pores after continuosly using it making a clean canvas for makeup application. This is also very hydrating which really helped to remove my skin’s dryness especially in the corner of my nose and lips. Although it is a bit watery, the product never interfered on my makeup application at all, I even feel like this product is helping my skin to absorb my foundation rather smoothly giving me an almost flawless finish. The very thing that impressed me about this moisturizer is its ability to prevent new breakouts and how it can help to minimize any sign of previous breakouts. Since I started using this last month, I never had any new zits to worry about which is the sole reason why I am so in love with this moisturizer! With continuous use, it can also help to minimize any redness or scars, it’s as if it’s healing your face from all the impurities. I also noticed that it can help to remove white heads better than a few face masks I’ve tried before. Koreans are big fan of double cleansing which involves an oil-based makeup remover and a normal facial wash right after. Banilla and Co. Clean It Zero has been widely raved as the best cleansing balm available in the market. You just an ample amount of the product on your palm and massage all over your face. You will be amazed by how your heavy makeup will melt. Then right after just wash it with water and your heavy makeup is gone. Banilla and Co. Clean It Zero cost around Php 900 per tub but I found a good alternative for those who want to experience how cleansing balm works. 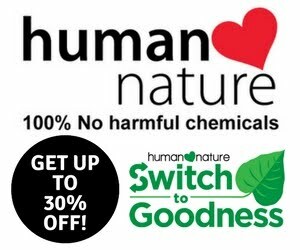 Human Heart Nature released Bare Necessity Cleansing Balm for only Php 345 and it’s so good. I will review this product soon on the blog. You can buy the Human Heart Nature Bare Necessity HERE. What others are saying about the Banilla and Co. Clean It Zero? The Banila Co. Clean It Zero Cleansing Balm works so well! It quickly dissolves the makeup and it is gentle on the skin. Actually, you will feel your skin getting softer as you massage it and after you wipe it or rinse with water. Also, even though it transforms in a silky oil, it doesn't feel that greasy and it's not sticky unlike other cleansing oils. In fact, it feels nourishing. I also like the fact that this is a cleansing balm so we can avoid the oil dripping down your neck, hands, or even arms. We can also get away with the messy episodes we get when our usual liquid cleansing oil leaks from the bottle since this cleanser comes in a sturdy jar with a tight lid. However, the jar is so big, it's not really convenient to bring when you travel because it's bulky and heavy. This balm literally melts off your makeup. I don't know about you but for years I was viciously scrubbing at my face with a cotton pad in an attempt to move my mascara and 7/10 times it wouldn't budge. Those days are long gone! The balm melts into a soft sorbet in your fingertips and then works with your natural oils to slide off your makeup and remove SPF. There is very minimal work involved at your end so why not give yourself a nice massage while you're at it! It washes off super easily as well so you don't have to worry about dealing with oily fingers. I have been dying to get my hands on the It’s Skin VC Perfector Vitamin C ever since I saw it on Althea Korea PH. But when I did my first shopping experience, the item was out of stock. I wasn’t able to add it on my AltheaKorea Haul and I never had the chance to get it. Why is it always out of stock? Well, It’s Skin VC Perfector Vitamin C found its cult following through the years not just for Korean women but also everyone around Asia. If you are starting out with serums and ampoules or you find yourself in need of a skin booster, this is a genie in the bottle. Vitamin C is good for the skin and promises brighter and glowing complexion when used. What others are saying about the It’s Skin VC Perfector Vitamin C? For a very affordable serum, I am impressed. I noticed the brightening effect just after the first use. I am not exaggerating. You know me, I dislike products that does nothing. After 1 month straight of using it during night time, I feel like my dark spots had lighten. I also didn’t experience any breakouts or irritation while I use this product. Overall, if you need an affordable answer to pesky pimple marks- this will be your best friend. Make sure to use it regularly to see results. 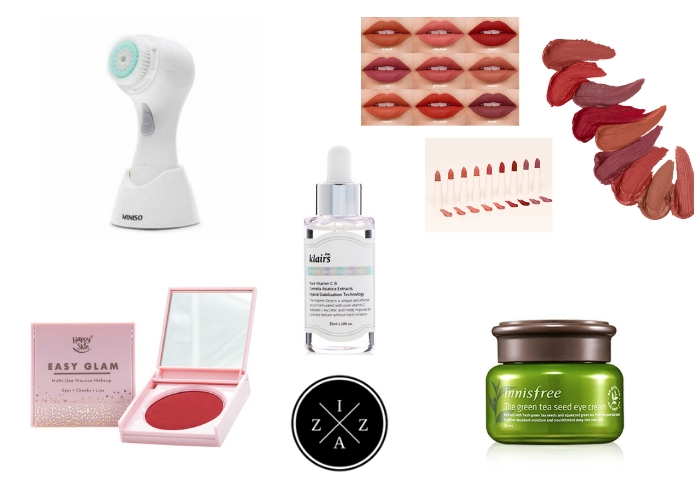 This list of every tried and tested Korean skincare product you should know wouldn’t be complete without the inclusion of Innisfree Jeju Volcanic Pore Clay Mask. Innisfree Jeju Volcanic Pore Clay Mask has been widely used as part of Korean skincare regimen. But, who will not fall in love with a clay mask, right? Clay masks are widely known to help draw impurities when applied. Although it is a lot messier and requires washing the face afterwards it is still good and highly recommended for those who want smaller and tighter pores. The mask features Volcanic Scoria-a powerful sebum - removing ingredient that is sourced from lava when it has cooled down-from the volcanic ash of Jeju Volcano in Jeju Island. What others are saying about the Innisfree Jeju Volcanic Pore Clay Mask? It's very concentrated that you only need a tiny amount to get good coverage like what I have on in the photo. It hardens pretty quickly and gives the face a slight tightening effect that you can still twitch your facial muscles. I always leave it on for 10 minutes on my face. After rinsing, my skin looks mighty fresh and even, feels matte, soft, and really, really clean, as if I had a derma- grade mask procedure, but right in the comfort of my own home. I've used this product for one year straight (that's how much I loved it!) at twice a week usage and I noticed that my skin wasn't breaking out often than the usual because it deep cleans the skin, but I found that it's not really effective in getting rid of pimples once they're there already-it's more of a preventive treatment if you're going to ask me. This mask is really economical and may last for more than one year, but loses its efficacy once it hits the one year mark so better use it up before it expires! I'm very happy with the performance and quality of this mask and I will surely buy it again when I get the chance. Oh Innisfree, when will you guys open a store in the Philippines?!! Why Invest in Korean Skincare Products? I have since read and seen the benefits of Korean skincare products. Some can be very pricey so you need to invest some money on them. Others, like most of what I have included in this list are affordable and can be bought for less than Php 500. Korean skincare products are known for their effectiveness. Just look at the skin of the female lead on every Korean drama you watch. They are the epitome of “no makeup makeup” and “I wake up like this” face. If you are trying out the perfect skincare routine for yourself, the tried and tested Korean skincare product like CosRX Low PH Good Morning Gel Cleanser, Skinfood Black Sugar Scrub Wash-Off, Nature Republic Aloe Vera Gel, It’s Skin VC Perfector Vitamin C and Innisfree Jeju Volcanic Pore Clay Mask should be part of your must-haves. More will be added to the list for sure so better bookmark this post and revisit every now and then.